The Reclaiming Our Futures Alliance (ROFA) is an alliance of Disabled People and their organisations ’s (DPOs) in England who have joined together to defend disabled people’s rights and campaign for an inclusive society. 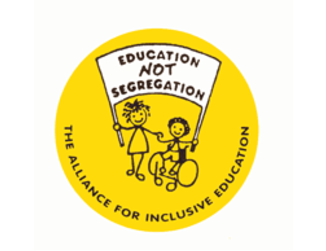 ROFA fights for equality for disabled people in England and works with sister organisations across the UK in the tradition of the international disability movement. We base our work on the social model of disability, human and civil rights in line with the UN Convention on the Rights of Persons with Disabilities (CRPD). We oppose the discriminatory and disproportionate attacks on our rights by past and current Government. Alliance member organisations have been at the forefront of campaigning against austerity and welfare reform and inequality. ROFA’s Terms of Reference sets out what ROFA is about: the principles and values ROFA bases its work on, our aims and objectives, how the alliance works and who can join ROFA and how. * Social Model of Disability. ROFA is committed to the social model of disability which says that the exclusion, inequality and discrimination disabled people experience is not the consequence of our impairments but a result of the economic, cultural, social and political forces operating in society. Disability is the name for the social consequences of having an impairment. We use the term disabled people politically to emphasize the social cause of the exclusion and discrimination people with impairments face. The term disabled people includes those with physical, cognitive and sensory impairments, people with learning difficulties; Deaf people, deafened, hard of hearing people, mental health system users and survivors, and others who self-define as disabled people. We recognise our commonalties in fighting for change as well as our multiple identities including: class, Black and Minority Ethnic (BME) identities, Lesbian, Gay, Bisexual and Transgender (LGBT) identities, gender, age, faith. * Together we are stronger. We believe disabled people and our organisations & networks are stronger and better working together. Disabled people/DPOs in England need a strong voice. 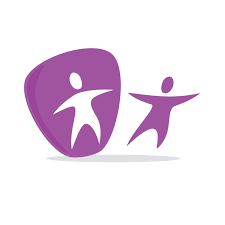 There is currently no unified national organisation of disabled people/DPOs which can campaign, develop policy and act as the national representative body for organisations of disabled people. ROFA aims to fill that void by bringing disabled people/DPOs together so we can effectively campaign and influence. 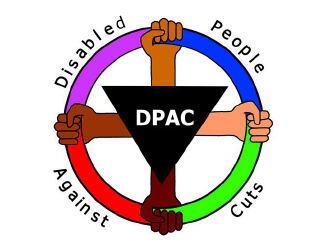 We are part of the international disabled people’s movement and we intend to apply to be the representative body for DPOs in England in the Disabled People’s International. We also intend to affiliate to European forums such as ENIL. ROFA is committed to the principle and practice of “Nothing About Us, Without Us” – a slogan adopted by Disabled Peoples’ International (DPI) at its founding in 1981. This slogan captures a key idea of disabled people’s struggle for human rights that self-determination is essential for achieving true equality. The ideas of self-determination and human rights developed and fought for by us in our international disabled people’s movement are at the very heart of ROFA and our work. * Full human and civil rights. ROFA is committed to full human and civil rights for all citizens including disabled people. ROFA is committed to campaigning for the full implementation of the UN Convention on the Rights of People with Disabilities (UNCRPD) and is guided by the full range of rights it expresses. * ROFA is a diverse, transparent, inclusive and accessible alliance with each ROFA member contributing what they can. ROFA is committed to operating in a transparent, accessible and inclusive way that enables all its diverse membership to contribute and benefit from the alliance. ROFA currently receives no funding for its work so the alliance can only succeed if each of its members actively contributes what they can. To co-ordinate campaigns at a local, regional and national level. To create inclusive spaces for ROFA members and the wider disabled people’s rights movement to develop our thinking, policy and practice. To be a grassroots voice of DPOs in England and work with our sister organisations in Scotland, Wales and N. Ireland so that we continue to build a powerful voice in the monitoring of the UN CRPD and develop collective influence to the problems disabled people are facing across the UK. Who can be a member of ROFA? ROFA also has an affiliate membership for allies of ROFA – both organisations and individuals can be affiliate members. Affiliate members do not having voting rights. Is there a fee for becoming a member of ROFA? 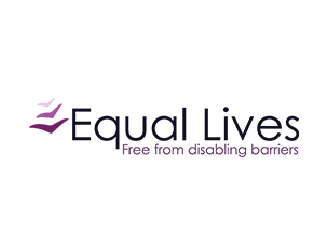 Membership is free for individual disabled people and non-funded DPOs. Once we have received your application we will email you confirming membership and giving instructions regarding paying your annual fee. There will also be up to 5 places for DPOs which operate nationally. Membership of the Steering group for 2015 will be chosen by nomination and invitation. Thereafter, Steering group members will be elected annually by members, at the ROFA national conference. Steering group members can nominate a deputy if they are unable to attend or take part in Steering group business. Steering group members will be expected to attend at least one Steering group meeting per year, take part in quarterly teleconferences and play a leading role in the annual ROFA conference. Report back and share information from their region about campaign and issues affecting disabled people. Using ROFA website and social media to support ROFA members to carry out campaign and policy actions plan, co-ordinate work and share tools and resources. Implementation of the annual campaign action plan will be the responsibility of members at a local, regional and national level supported by the ROFA national Steering group and by the ROFA website and on-line tools. Some members may find organising and co-ordinating campaigns at a regional level works for them; other members may choose to work on specific campaign issues or at a local level. As there is currently no funding for ROFA it is vital that members find ways to work together that are realistic and sustainable. There is no collective national representative body for DPOs in England. It is for this reason that Inclusion London, Equal Lives, Alliance for Inclusive Education (Allfie), People First, Sisters of Frida and Disabled People Against Cuts (DPAC), came together to organise a national conference in 2012 to raise the policy and political concerns of disabled people and English DPOs. 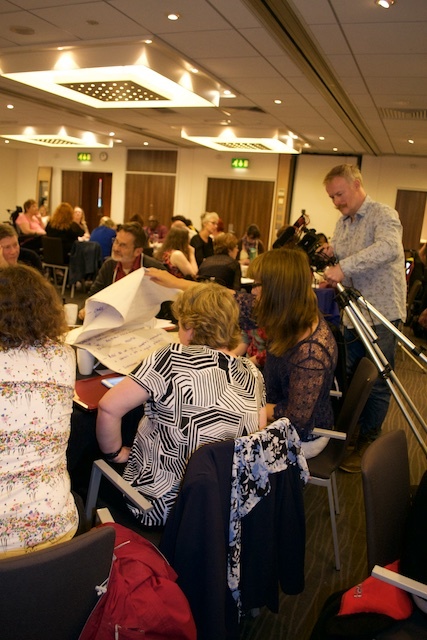 This conference, attended by over 90 DPOs, identified a strong need for a national collective network of disabled people and their organisations in England . ROFA was formed to be this network. DPOs organised a conference in London in the autumn of 2012 to discuss the lessons for the disabled people’s movement arising out of Jenny Morris’s Joseph Rowntree Foundation (JRF) paper “Rethinking Disability Policy”. The priority message and action identified by the conference was the need to develop an effective grassroots UK wide network of DPOs that would create a united voice to tackle the onslaught on our rights by the coalition Government – especially in the light of the lack of any functioning national DPO and the close collaboration from disability charities and some traditional disabled people’s organisations with the current Government. ROFA was formed by founding members shortly after the conference spurred on the strength of feeling expressed in the conference to keep the spirit of the disabled people’s movement alive and create a safe inclusive space to develop our own policy and campaigning responses to the unprecedented range of attacks we are experiencing. The “ROFA: Reclaiming Our Futures manifesto” – detailing issues and specific asks across all areas of disabled people’s lives – was developed by ROFA members in 2013 and launched at a lobby of Parliament attended by over 200 disabled people and MPs. It was effectively used by DPOs across the UK in local and national campaigning and lobbying work in the long lead up to the General Election in 2015. ROFA also produced a list of 18 demands for the new Government. ROFA members collected statistics, reports and lived experience evidence from thousands of disabled people across England to collate an English Shadow Report in response to the UK report to the UNCRPD. We are currently working in a wider alliance of the representative DPOs in Scotland, Wales and N. Ireland, who are producing their own reports, to agree a UK wide set of questions for the UN to ask the UK Government when the UK is examined. The UK examination was due in spring 2015 but has been delayed and is now unlikely to take place until late 2016.